One of our most beautiful Akoya pearl necklaces, exceptional in lustre and finished with an 18 carat yellow gold clasp, set with a ribbon of diamonds. 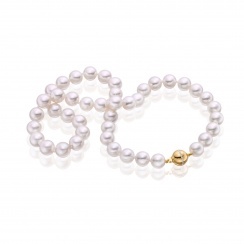 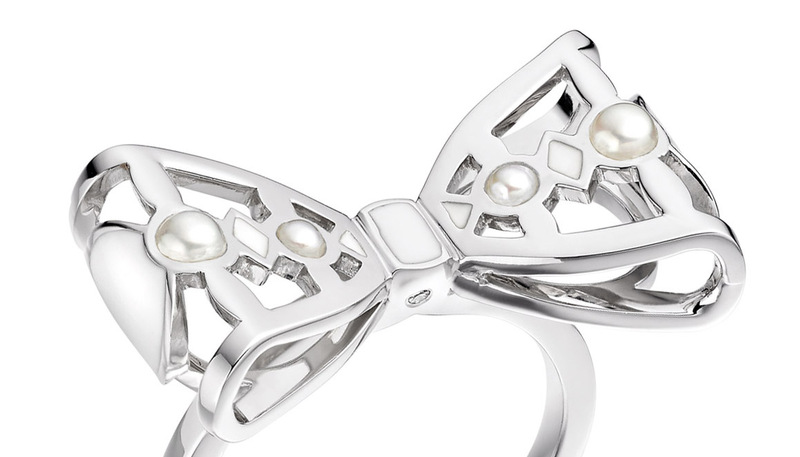 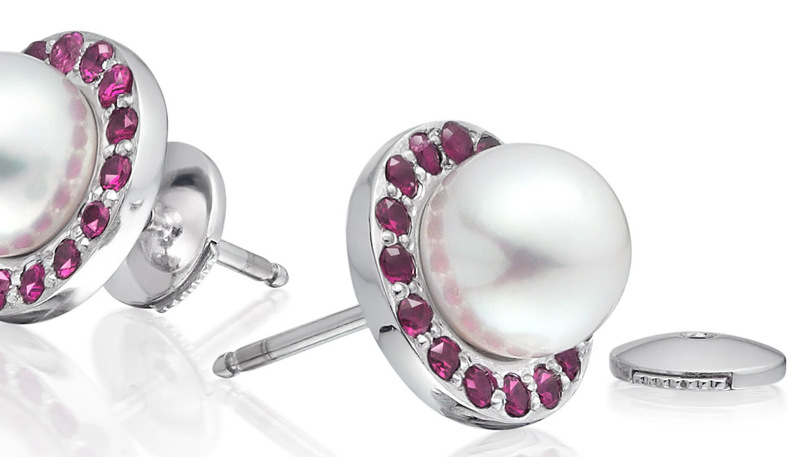 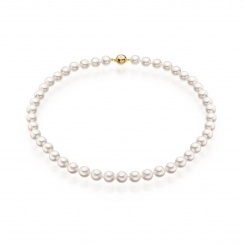 The classic Akoya pearl is a type of cultured saltwater pearl originating from Japan and has a characteristically white colour, with a pink overtone. 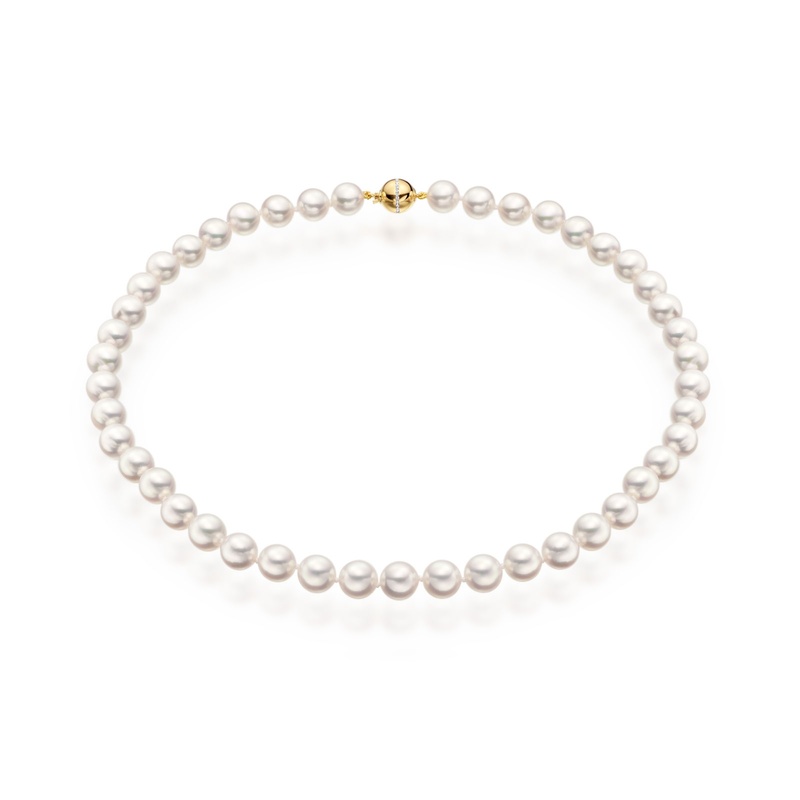 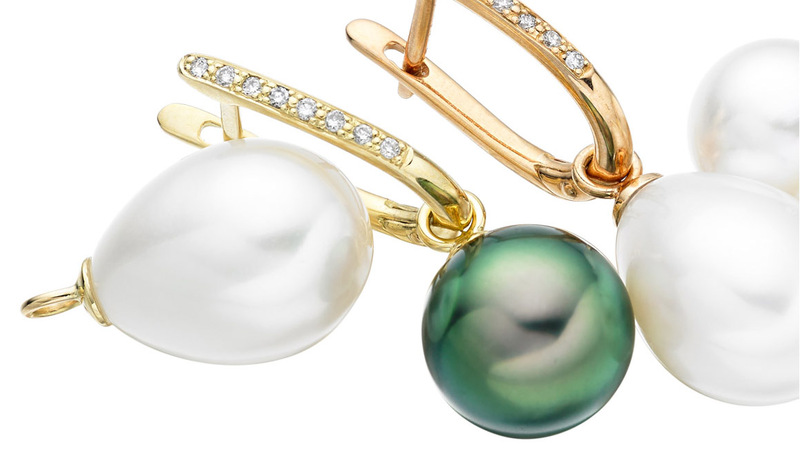 These round pearls are 9-9.5mm in size, which is large in size for the Akoya pearl, and have been selected for their exceptional quality and very sharp lustre. 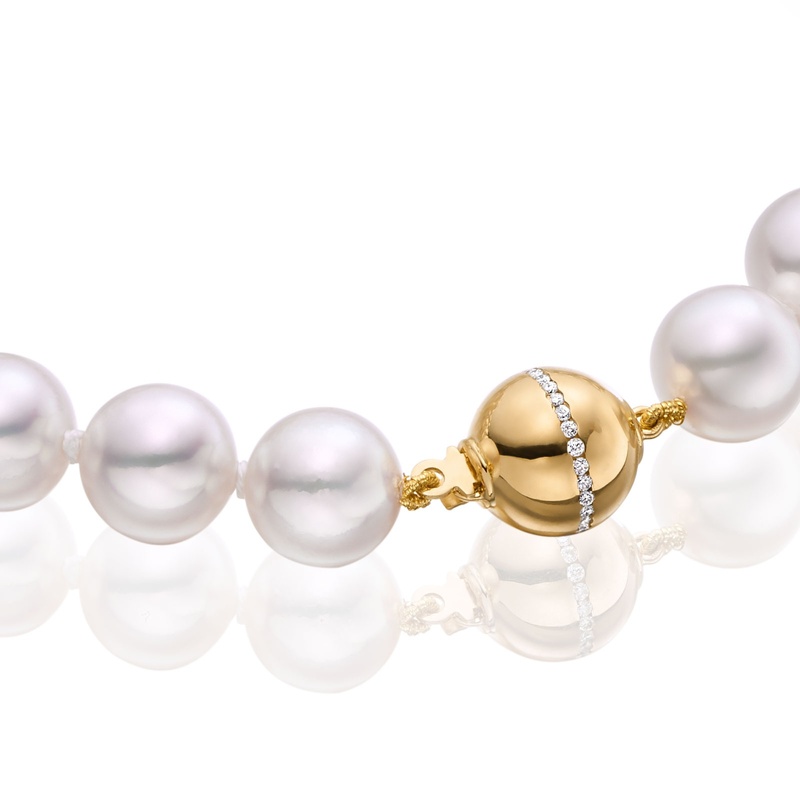 The necklace is securely fastened with an 18 carat yellow gold ball clasp, which has a polished finish and a ribbon of sparkling diamonds totalling 0.13 carats. The 45cm necklace should sit just below the collarbone and is individually hand-knotted between each pearl for safety and comfort. 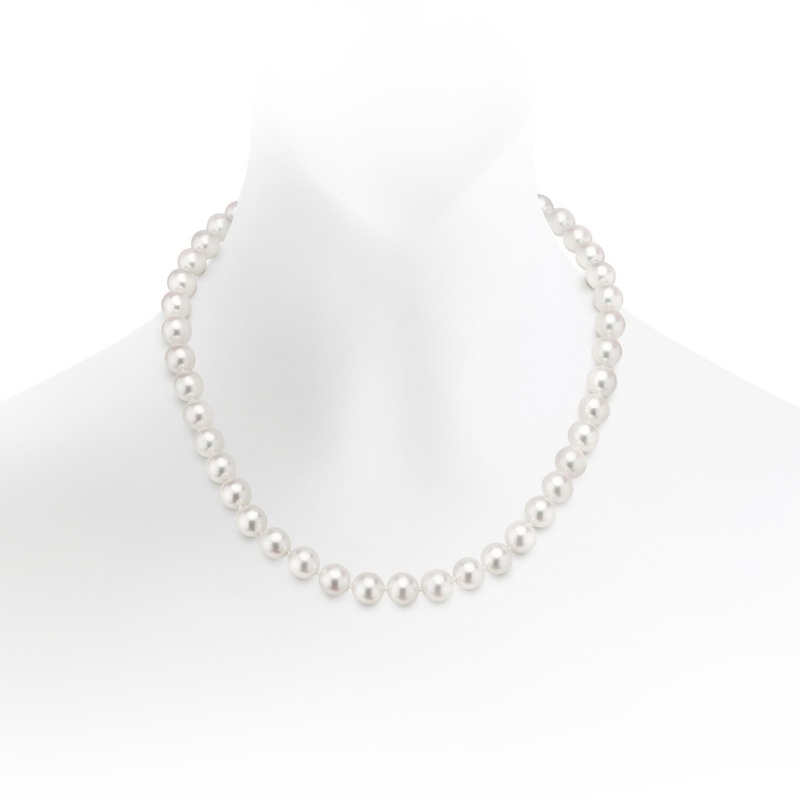 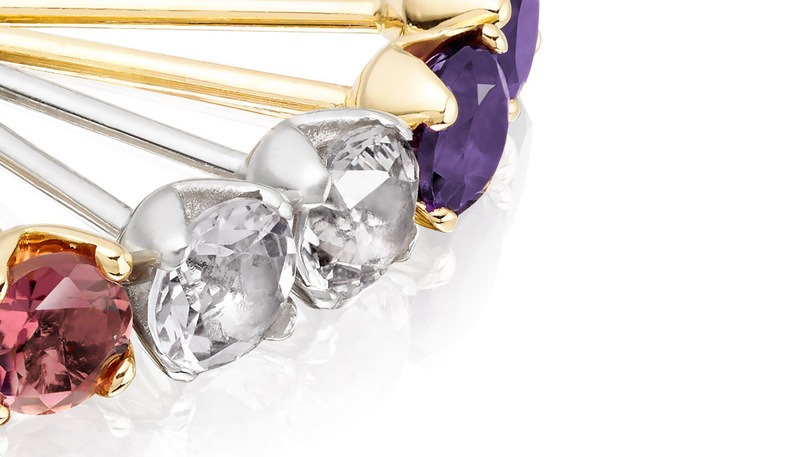 The Serenade necklace is also available with a white gold and diamond clasp.